Version: English first edition (2011), Language: English, Publisher: Fantasy Flight Games Condition: Like new. Unpunched. Played just once, some cards may have very slight wear. Excellent condition Cardboard insert is slightly bent, it came like this. The info below applies to every expansion in the listing, but there are NO BOXES (Picture in description used to help identify which expansions are in the listing) Contents: Good Box: No Boxes Edition/Publisher: Fantasy Flight Games Language: English "Android: Netrunner – What Lies Ahead (2012) rating=8.17 " "Android: Netrunner – Trace Amount (2013) rating=8.16 " "Android: Netrunner – Cyber Exodus (2013) rating=8.19 " "Android: Netrunner – A Study in Static (2013) rating=8.09 " "Android: Netrunner – Humanity's Shadow (2013) rating=8.16 " "Android: Netrunner – Future Proof (2013) rating=8.19 "
Used, good condition. Box shows some shelf wear and has a couple of minor tears, but components are in great condition. Tiles still in shrink. **SWEETENER** "Memoir '44: Eastern Front (2005) rating=7.95 " same condition as above. Die-Hard Games 2nd Edition The almost-the-kitchen-sink listing Box and cards in good-v.good condition. Please note that the leg of the T Rex first player marker is broken, a common occurrence with this game. Also included in this lot and pre-sorted into base game box are the following expansions: Change of heart on this one. Apologies to any interested parties. Not the full game, but an upgrade pack that supplements the 1st edition with the extra materials from the 2nd edition. Brand new in a ziplock baggie; individual stacks still in shrink. From a smoke-free, but pet-friendly home. New in shrink. From a smoke-free, but pet-friendly home. C&C: Ancients: the (almost) complete set GMT English 3rd Printing Box and contents in excellent condition. Contains mounted board and black, plastic, labelled dice. All blocks have been stickered and are sorted into plano organizers, which will also be included. Also includes: "Commands & Colors: Ancients Expansion Pack #1 – Greece & Eastern Kingdoms (2006) rating=8.24 " "Commands & Colors: Ancients Expansion Pack #2 – Rome and the Barbarians (2007) rating=8.29 " "Commands & Colors: Ancients Expansion Pack #3 – The Roman Civil Wars (2007) rating=8.25 " "Commands & Colors: Ancients Expansion Pack #4 – Imperial Rome (2009) rating=8.3 " "Commands & Colors: Ancients Expansion Pack #6 – The Spartan Army (2011) rating=8.38 " All of the above are also stickered and sorted into plano boxes, which will be included. From a smoke-free, but pet-friendly home. Breaking this one up into its component parts. Restoration Games 1st ed New in shrink. From a smoke-free, but pet-friendly home. EGG 1st Edition (Retail) Played once (solo) - box and contents still in very good condition. From a smoke-free, but pet-friendly home. IDW Games 1st Ed New in shrink From a smoke-free, but pet-friendly home. From the Kill Team: Rogue Trader box - full set of Gellerpox Infected and cards/tokens - plus the associated codex to play them in regular 40K if you feel so inclined. It seems obvious, but please note that these will come unpainted - the above is a promotional image. All items are new and unused; still in shrink where applicable. From a smoke-free, but pet-friendly home. Ravensburger Royal Casino Edition Box and contents in good-v.good condition. From a smoke-free, but pet-friendly home. GMT First Edition Complete 1st Edition in good-v.good condition, includes print-outs of errata, etc. All counters contained in GMT counter tray. IMPORTANT NOTE: Does not include box. From a smoke-free, but pet-friendly home. Edition: English first edition Condition: Open, bagged, unplayed All components (base game and sweeteners) stored in Base Game box. No other boxes are included. Sweeteners: "B-Sieged: Sons of the Abyss – Defender Level Kickstarter Rewards (2016) rating=7.2 " "B-Sieged: Darkness & Fury (2016) rating=7.1 " "B-Sieged: Darkness & Fury Exclusive Promo Miniatures (2016) rating=7.46 " "B-Sieged: Heroes Set 1 (2016) rating=7.25 " "B-Sieged: Heroes Set 2 (2016) rating=7.09 " "B-Sieged: Encampment Tile Set (2016) rating=7.06 "
Edition: English first edition Condition: New in shrink Sweeteners: - Kickstarter Extras (Minis, Dice, Dice Bag, Missions, Tokens) - "The World of SMOG: Rise of Moloch – The Embassy (2018) rating=8.32 " - "The World of SMOG: Rise of Moloch – The Dragon (2018) rating=8.34 " - "The World of SMOG: Rise of Moloch – The Wheel (2018) rating=8.17 " - "The World of SMOG: Rise of Moloch – The Mekasylum (2018) rating=8.27 "
Edition: English first edition Condition: New, Sealed Sweetener: - "Emergence Event: The Awakening (2017) rating=6.94 "
Edition: English first edition Condition: Open, played once All components (base game and sweeteners) stored in Base Game box. Sweeteners: "Briefcase: Board Game Factory (2012) rating=6.56 " "Briefcase: Bonus Companies (2012) rating=6.71 " "Briefcase: City Hall (2013) rating=6.94 " "Briefcase: Government Bonus (2012) rating=6.5 "
2014 English Edition. Includes : "Galaxy Defenders: 5th Column (2015) rating=7.27 " 2015 1st Edition. Everything stored in the main game box, sorted into baggies and sorted into the original insert. 2017 3rd Edition. Excellent condition. Only played once. Pieces sorted into baggies, with everything sorted into the original insert. 2014 English 1st Edition, 2nd Printing. Most of the card stored in the original box. A few starter cards and the other tokens and pieces are stored in a small plastic container outside of the game box. All cards are sleeved. Great condition. 2001 First Edition. Excellent condition. The tokens are unpunched and the cards are in shrink. Includes a GMT counter tray. 2017 1st Edition. Excellent condition. Tokens are unpunched. Includes a GMT counter tray. Pandasaurus 1st Edition - English Box and contents in good-v.good condition. From a smoke-free, but pet-friendly home. 2018 English edition. Like new. Rules read, but everything else is untouched. Sweetener : "Jump Drive (2017) rank=914 rating=7.06 " 2017 English Edition. Excellent condition. Played once. 2008 English Edition. One corner of the box lid a bit frayed, but otherwise in good condition. Everything sorted into the original box insert. Includes : "A Game of Thrones: The Card Game (Second Edition) (2015) rank=346 rating=7.7 " 2015 English edition. Three core sets in total, all mixed in to 8 starter decks for the different factions. The leftover cards are stored in a baggie outside of the game box. Also : "Paramedics: Clear! (2017) rank=5241 rating=7.09 " English edition. Excellent condition. Everything stored in box insert. Also : "Why First? (2015) rank=3621 rating=6.13 " 2015 English-only edition. Only played once. Excellent condition. Publisher: Cwali Language: English Condition: Very Good. It's only been played a couple of times. It comes from a smoke and pet free home. Publisher: Dice Hate Me Edition: First Edition (2012) Language: English Condition: Very Good. I received it in a previous math trade but never played it. One corner of the box lid has a tiny dent. Sweetener: "VivaJava Geekspansion (2012) rating=7.31 (VivaJava Geekspansion)" Condition: New in Shrink It comes from a smoke and pet free home. Publisher: APE Games Language: English Condition: New. Comes in a plastic baggie. It comes from a smoke and pet free home. Condition : Opened, very good Language : English Edition : English first edition (2017) SWEETENER "Photosynthesis: Blue Christmas Tree (Photosynthesis : Blue Christmas Tree)"
Excellent condition overall, the bottom of the box has very slight wear/whitening. Port Royal ‐ English/German second edition (2015) Sweetner: "Port Royal: Just One More Contract... (2015) rating=7.54 " Excellent condition. Condition: Like new, sleeved.goods cards, not Djinns. Version: first edition (2014)(With Slave cards) Language: English, Publisher: Days of Wonder SWEETENER Both New in Shrink "Five Tribes: The Artisans of Naqala (2015) rating=8.12 " "Five Tribes: The Thieves of Naqala (2016) rating=7.27 "
Condition: Like New Version: English First edition(2012) Language: English Publisher: Lock 'n Load Publishing Sweetener "Twist of Fate (2016) rank=15518 rating=5.1 " Condition: Good Version: First edition 2016 Language: English Publisher: Mayday Games "One Night Revolution (2015) rank=2811 rating=6.2 " Condition: Like new Version: first edition (2015) Language: English Publisher: Indie Boards & Cards "Old Town Robbery (2015) rating=5.66 " Condition: Like new Version: first edition (2015) Language: German Publisher: Clicker Spiele "Paititi (2014) rank=14663 rating=5.22 " Condition: Like new Version: German edition (2014) Language: German Publisher: Österreichisches Spiele Museum e.V. Condition: Good Version: English (2011) Language: English Publisher: Indie Boards & Cards Sweetener "Flash Point: Fire Rescue – Veteran and Rescue Dog (2013) rating=7.59 "
Language: English Version: 1st Edition (Wood Box) Condition:Excellent, comes from a home with a cat. Language: English Version: 2nd Edition Condition: Unplayed, comes from a home with a cat. First Edition - First printing purchased new in 2014. Played several times in excellent condition. Non smoking - non pet home. Kickstarter - English first edition (2016) - played several times in excellent condition. Non smoking - non pet home. English third edition (2016) - played several times in very good condition. Non smoking - non pet home. Version unknown. Received in math trade 2 years ago. I've never played but components and board are in very good condition. When I received the game it was missing the rule book. I have printed and bound a PDF version of the english rule book that will be included. Non smoking - non pet home. Version: First edition (2018) Condition: New Note: will send out in between card boards to keep promo card in mint condition. Version: First edition (2014) Condition: New Note: will send out in between card boards to keep promo card in mint condition. Version: First edition (2018) Condition: New, never played. Box: There's no box, game original comes inside a red felt bag. Condition: New in shrink. Excellent condition. Condition: Very Good. Box has a dent in it. Game components are all in excellent condition. Never played. English first edition Like new; played once. Includes the "New York 1901: Flatiron (2015) rating=7.35 " expansion. English first edition. Like new; opened but unplayed. Z-Man English-only first edition (2014) Like new; only played a couple of times. Includes: "Camel Up: Supercup (2015) rating=7.36 " No box- contained in base game box. "Camel Up: The Referee Camel (2015) rating=6.49 "
Multilingual 2nd Edition (2011) Publisher: Stronghold Games Complete; components and manual in excellent condition. Mild shelf wear on box, but in excellent structural shape. English First Edition (2017) Dr. Finn's Games Excellent condition; complete (w/ Tech Tools bonus pack). Lots of score sheets left (only played about 10-12 times). Sweeteners: "Birds of a Feather (2015) rank=3269 rating=6.76 " First Edition (2015) Nothing Sacred Games Excellent Condition, Lots of sheets still on the scorepad! "Mint Delivery (2018) rank=2676 rating=6.46 " English Edition (2018) Five24 Labs Excellent Condition, Only played twice. English second edition Like new; punched, but unplayed. Includes: "Castles of Mad King Ludwig: Secrets (2015) rating=7.37 " No box- stored with the base game. First edition (English) Like new: played once. English only edition (plastic pieces) Like new: opened but unplayed. First Edition (English) Like new: played once Includes: "Loop Inc.: Expansion Cards (2015) rating=6.97 "
English Edition Like new; played once Includes: "New York Slice: 2017 Specials (2017) rating=7.02 "
English only edition Like new; punched but unplayed. One slight bump on box edge. Edition: First edition, 1990 Publisher: Victory Games Language: English Condition: Box has some shelf wear; cover has "200" written in pen. Game is 90% unpunched. Components are in very good condition. English Edition (2018). Like new, played once. Stronghold Games English edition (2015). Like new, played once. Stronghold Games English Edition. Like New, played once. Kickstarter Edition (2012). Like New, played once. English First Edition (2012). Like New, only played a few times. Edition: 2018, Graphic Novel Adventures/Van Ryder Language: English Condition: Very good - the top of the outside spine has a couple of minor folds, but the pages inside are in excellent condition and have not been written on. Sweetener: "Tears of a Goddess (2015) rank=7254 rating=6.85 " Sweetener is in very good condition - pages have not been written on. Edition: 2018, AVStudio Language: English Condition: Like New - Played once Sweetener: "Pulp Detective: Double Cross (2018) rating=6.18 " Sweetener is in like new condition - never played. Very good condition, only played once. English. Kickstarter deluxe edition. Very good condition, only played 3 times. Very good condition, stickers applied to components, played a few times. English. 2 PACK: German Edition - in excellent shape - cards have been made (with blank Dominion backers) to replace/supplement german tiles. File/photos are found under the games files here on the geek. (I am happy to get a picture in here when I can as well. - Sorry it's backwards - it isn't really - crazy laptop....) SEE BELOW! Sweetener: "Constantinopolis (2010) rank=1395 rating=6.93 " In excellent condition. ENGLISH. No smokers or pets. In very good shape. English edition. Sweetener: "Rattus (2010) rank=834 rating=6.81 " Also is very good condition - both received in math trades. Contents: Very Good. Played once. Box: Came in its own wallet. Version: First edition (2018) Sweeteners: "Sprawlopolis: Wrecktar (2018) rating=7.37 " "Sprawlopolis: Construction Zones (2018) rating=6.86 " "Sprawlopolis: Points Of Interest (2018) rating=6.79 "
This game is in fair condition. It has some play wear. All the contents are accounted for. Condition: Fair. Game has some wear but all the cards are accounted for. Box: has some wear. PUBLISHER: Space Cowboys, français, 2015. RULES: French. LANGUAGE DEPENDANCE: FRENCH Some necessary text - easily memorized or small crib sheet ImageID: BGG CONDITION: LIKE NEW Buy new, opened, unpunched. BOX CONDITION: No damage. COMPONANTS CONDITION: Complete and in very good condition. PASTICHE: PETITE PUBLISHER: Gryphon games, 2014. RULES: English LANGUAGE DEPENDANCE: No necessary in-game text. ImageID:2095333 BGG CONDITION : NEW. In shrink. BOX CONDITION: No damage. COMPONANTS CONDITION: In shrink. + "Petite Pastiche: Extra Commissions #1 (2014) rating=6.93 " + "Petite Pastiche: Extra Commissions #2 (2014) rating=7.05 " + "Petite Pastiche: Extra Commissions #3 (2014) rating=6.92 " Buy new from the BGG store, not played. PUBLISHER: Lookout games, 2011. RULES: multilingual (2), including English & ?. LANGUAGE DEPENDANCE: No necessary in-game text. ImageID:1132162 BGG CONDITION: ACCEPTABLE. Received in a previous trade. BOX CONDITION: Still solid but white corners, scuffings and a crease at the top left corner of the top box. COMPONANTS CONDITION: No insert (don't know if supposed to have one). Otherwise, complete and in good condition. + "Principato (2011) rank=3085 rating=6.24 " PUBLISHER: Z-Man, 2011. RULES: English. LANGUAGE DEPENDANCE: No necessary in-game text. ImageID:1136786 BGG CONDITION: GOOD. Received in shrink in a previous trade, played only 1 time. BOX CONDITION: some corners slightly white. COMPONANTS CONDITION: Complete and in very good condition. PUBLISHER: Phalanx, 2004. RULES: French. LANGUAGE DEPENDANCE: No necessary in-game text. ImageID:44952 BGG CONDITION: GOOD. Received in a previous trade. BOX CONDITION: No damage except 1 corner slightly white. COMPONANTS CONDITION: Complete and in very good condition. PUBLISHER: RioGrande, 2011. RULES: English. LANGUAGE DEPENDANCE: No necessary in-game text. ImageID:1017479 BGG CONDITION: NEW In shrink. BOX CONDITION: No damage. COMPONANTS CONDITION: In shrink. + "Olympos: Oikoumene (2011) rating=7.4 " BOX CONDITION: None. COMPONANTS CONDITION: In bubble shrinkwrap (as buy). PUBLISHER: Pandasaurus games, 2014. RULES: English. LANGUAGE DEPENDANCE: ENGLISH Some necessary text - easily memorized or small crib sheet ImageID:1780912 BGG CONDITION: GOOD. Received in a previous trade. BOX CONDITION: No damage except 1 corner slightly white. COMPONANTS CONDITION: Complete and in very good condition. PUBLISHER: Stronghold games, English, 2015 (should be the 2nd edition). RULES: English only. LANGUAGE DEPENDANCE: ENGLISH Moderate in-game text - needs crib sheet or paste ups. ImageID: 2502060 BGG CONDITION : NEW. In shrink. BOX CONDITION: No damage. In shrink. COMPONANTS CONDITION: In shrink. + "La Granja: 2nd Edition Promo Cards (2015) rating=7.58 " PUBLISHER: ?, English, 2015. RULES: English only. LANGUAGE DEPENDANCE: ENGLISH Moderate in-game text - needs crib sheet or paste ups. ImageID: 2621743 BGG CONDITION : NEW. In shrink. BOX CONDITION: No box. In shrinkwrap. COMPONANTS CONDITION: In shrink. PUBLISHER: Filosofia, . RULES: French. LANGUAGE DEPENDANCE: Extensive use of text - massive conversion needed to be playable. ImageID: 2023048 BGG CONDITION: NEW. In shrink. BOX CONDITION: No damage. COMPONANTS CONDITION: In shrink. PUBLISHER: Rio Grande, 2005. RULES: English. LANGUAGE DEPENDANCE: No necessary in-game text. ImageID:121746 BGG CONDITION: GOOD. Received in a previous trade. BOX CONDITION: No damage. COMPONANTS CONDITION: Complete and in very good condition. PUBLISHER: Mayfair, 2012. RULES: English. 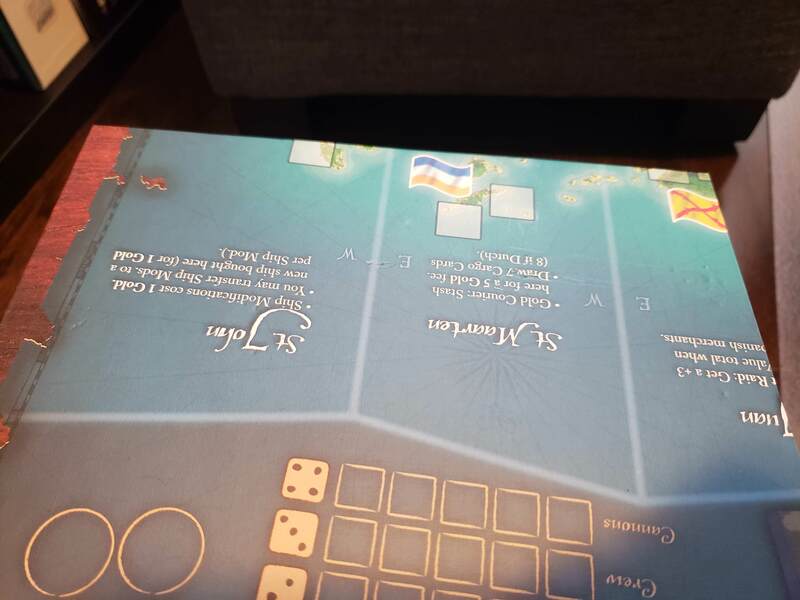 LANGUAGE DEPENDANCE: No necessary in-game text ImageID: BGG CONDITION: GOOD. Received in a previous trade. BOX CONDITION: White corners. COMPONANTS CONDITION: Complete and in good condition. PUBLISHER: JKLM games, 2008 RULES: English. LANGUAGE DEPENDANCE: No necessary in-game text. ImageID:273655 BGG CONDITION: GOOD. Buy used. BOX CONDITION: No damage. COMPONANTS CONDITION: Complete and in good condition. + "League of Six: Loyal Retinue (2008) rating=7.26 " PUBLISHER: Quined White Goblin games, 2008. RULES: French and ? but I only have French, no English provided in this edition. LANGUAGE DEPENDANCE: No necessary in-game text. BGG CONDITION: GOOD. Buy used. BOX CONDITION: No box expansion. COMPONANTS CONDITION: Complete and in good condition. PUBLISHER: RioGrande, 2003. RULES: English. LANGUAGE DEPENDANCE: Some necessary text - easily memorized or small crib sheet ImageID:293294 BGG CONDITION : ACCEPTABLE. Received in a previous mathtrade. BOX CONDITION: The box are protected with self-adhesive protective plastic (cannot be removed). COMPONANTS CONDITION: The components are protected with self-adhesive protective plastic (cannot be removed). Like new condition. smoke and pet free home. English retail edition. Xtreme Kickstarter Edition with stretch goals. New. In shrink. Base game with climate conversion kit Excellent condition smoke and pet free home. Along with three additional decks. Played once. PUBLISHER: Descartes, 2002, 3rd edition. RULES: French. LANGUAGE DEPENDANCE: This is the version with the optional deck of cards. If you play with the option, you will need to know French. If you don't play with the card, English rules are available on BGG, as well as cards translation. If you don't mind. The cards and the new design are the main difference between this edition and the first 2. BOX CONDITION: Very good. Minimal shelf wear, box as no hole or rip. COMPONENTS CONDITION: Excellent. All component are in excellent condition and present. PUBLISHER: Fantasy Flight, 2010 edition. RULES: English. LANGUAGE DEPENDANCE: Cards to read, some reading required. BOX CONDITION: Very good. Very minimal shelf wear, box as no hole or rip. COMPONENTS CONDITION: Excellent. All component are in excellent condition, bagged and present. PUBLISHER: Fantasy Flight, 2002 2nd edition. RULES: Multilanguage. LANGUAGE DEPENDANCE: No text on components. Include in the box is the Expansion 1, English instruction only. BOX CONDITION: Box shows some shelf wear but as no hole or rip. COMPONENTS CONDITION: Very good. All components are in good condition and present. "Drakon Expansion 1 (2002) rating=6.68 "
Rio Grande 2009 English rules In great shape. PUBLISHER: Steve Jackson's Games, 2001, 1st and only edition. RULES: English LANGUAGE DEPENDANCE: Use of English required for the cards. BOX CONDITION: Box shows some minimal shelf wear but as no hole or rip. COMPONENTS CONDITION: Excellent. Counter cut, never been played, all cards are sleeved. PUBLISHER: Fantasy Flight, 2005 2nd edition. RULES: English. LANGUAGE DEPENDANCE: English required. Many cards included. BOX CONDITION: Box shows minimal shelf wear but as no hole or rip. COMPONENTS CONDITION: Very good. All components are in good condition and present. - Publisher & Edition details: Fantasy Flight Game 1st edition - Language: English - Condition of item: Very good condition. All components are bagged, cards are in excellent condition. This include one expansion in its own box, include in the main box. "A Game of Thrones: The Card Game – Chasing Dragons (2012) rating=7.09 (Chasing Dragons Chapter pack )" - Publisher & Edition details: Fantasy Flight Game - Language: English - Condition of item: Still in its own box. Open never played. PUBLISHER: Queen games, 2001 1st and only edition. RULES: German. LANGUAGE DEPENDANCE: All components translation in english are include except cards, player mat (plastified), rule book, card translation provide, could be turned into a home made deck, in color. BOX CONDITION: Box shows minimal shelf wear but as no hole or rip. COMPONENTS CONDITION: Very good. All components are in good condition and present. All English component in color. Pictures could be sent to anyone interested. PUBLISHER: Wizkids, 2013 fourth printing. RULES: English. LANGUAGE DEPENDANCE: English required. Many cards included. BOX CONDITION: Almost no shelf wear. COMPONENTS CONDITION: Excellent, my copy as never been played. Component punched and sorted, cards sleeved. Almost perfect (just to say it isn't perfect). I've never played with my copy. - Publisher & Edition details: Fantasy Flight Game - Language: English - Condition details: Box show some wear, but components are in excellent condition. This lot includes 2 copies of the core game (to have more copies of the cards) and 2 expansions: "Warhammer: Invasion – Assault on Ulthuan (2010) rating=7.55 " and "Warhammer: Invasion – The Skavenblight Threat (2009) rating=7.3 " All cards are sleeved and inside a white box. The sleeves will be included in the trade. The starter decks have been rebuild. The rest of the cards have been separated by factions. 2 core game rule books. But only one core game box. Containing all the capital boards and the tokens. Bought used. This one is English, first edition and in great shape. It's punched (but not clipped) and there is a tray included. The map is really nice and all the booklets are in great condition. Box is slightly dished and there are signs of shelf wear on the box. Version: English edition (2012) Publisher: Ludically Condition: Very good. Smoke/Pet free home. Minor shelf wear. Missing storage tray for region hexs. 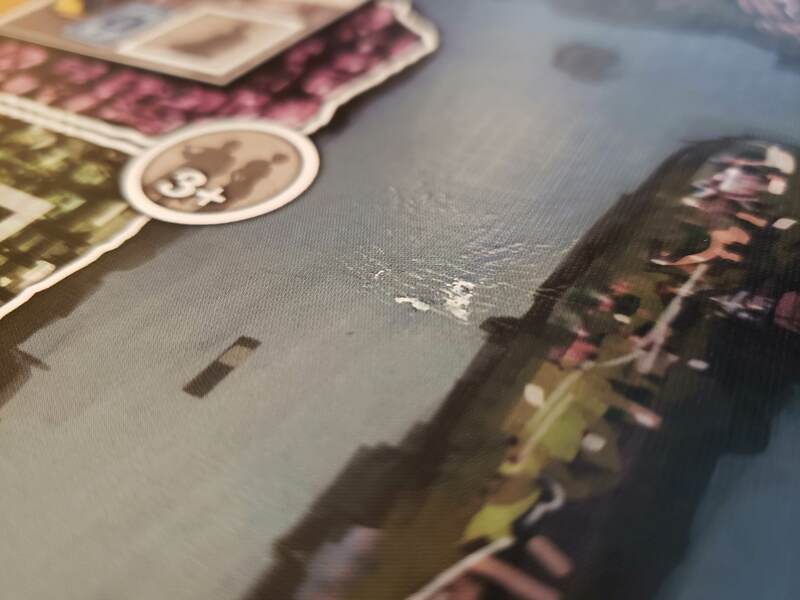 Sweeteners:	"Archipelago: Solo Expansion (2012) rating=7.18 " Version: Archipelago: Solo Expansion ‐ First edition (2012) Publisher: Ludically Condition: Very good. Smoke/Pet free home. Was given to us as a Christmas present one year and saw the table once. Unfortunately, one of the corners of the box is pretty bent up, other than that, the game itself is in excellent condition as it's spent the reminder of it's time here on a shelf. English, first edition. TSR/SPI Edition (1984) - English (Unpunched and comes with the counter tray) Bought this used and it's in fantastic shape. The box itself shows some wear but there are no splits or dents. 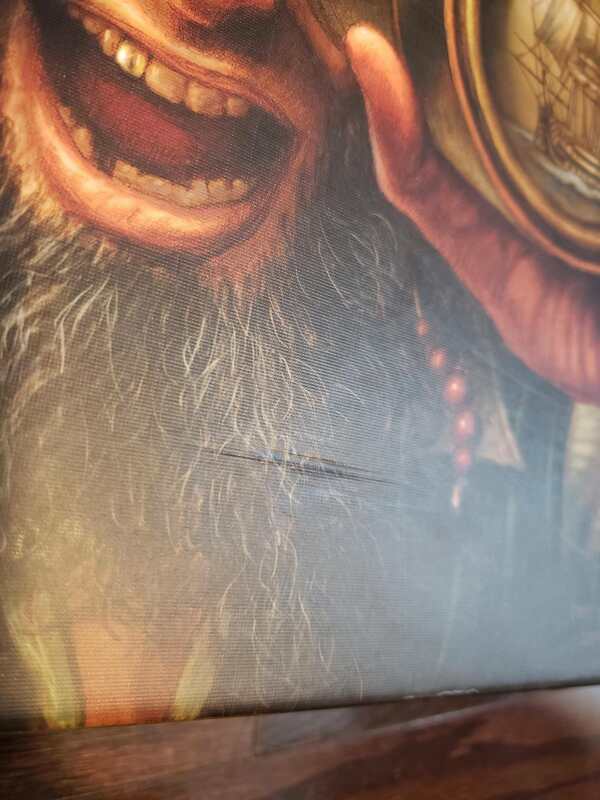 There was a small sticker on it at some point and it has taken away a small portion of the front cover image. Condition: Very Good. Opened & Played. Publisher: Ludus Magnus Studio Edition: First Edition (2016) Language: English Sweetener: [image=2438469][/image] "Nova Aetas: Vesuvio's Forge (2016) rating=7.87 " Condition: Very Good. Opened & Played. Publisher: Ludus Magnus Studio Edition: First Edition (2016) Language: English Also includes 9 extra miniatures for Base Game (3 Stratioti, 3 Swiss Guards, 3 Faun Warriors) and 5 extra miniatures for Vesuvio's Forge (2 Cyclops, 3 Scarfaces). First Edition - English. Box has quite a bit of wear, but the game board and contents are in excellent condition. Bought used. Canada Games Edition (1991) - English. Box has minor wear but the contents are in excellent shape. Second Edition - English. Bought used. Box has wear but contents are in excellent shape. Really fun game to play with the kids. Condition: Very Good. Opened & Played. Publisher: Baba Geek Games Edition: First Edition (2018) Language: English *********** NOTE ********** The one corner of the box was crunched when I got the game. The contents of the game are in very good condition, no damage though. Language: English Edition: Flying Frog Games first edition Condition: very good. Comes with "Conquest of Planet Earth: Apocalypse (2012) rating=7.54 (Apocalypse)" expansion plus "Conquest of Planet Earth: 'The Red Menace' Supplement (2013) rating=7.54 (The Red Menace)" and "Conquest of Planet Earth: Santarri Mutant Men Supplement (2013) rating=7.5 (Santarri Mutant Men)" supplements. Comes with a second set of miniatures. Language: English Edition: First edition Game is in excellent condition. Only played once. Language: English Edition: First edition Condition: good Includes "Suburbia Inc (2013) rating=8.01 (Suburbia, Inc.)" and "Suburbia 5★ (2015) rating=6.96 (Suburbia 5★)" expansions. Foam insert. Stone Age ‐ English first edition (2009) (or possibly second). In great condition, only played a couple times. The Game ‐ English edition 2018, new in shrink! Sweetner: "Candy Chaser (2013) rank=7895 rating=5.89 ", Japanese version in great condition. Doesn't come with English rules but you can find them online. The Flow of History ‐ English second edition (2018), in great condition, never played. Sweetner: "Rise! (2012) rank=7480 rating=6.15 ", in great condition. Comes with "Rise! The Ballistic Expansion Pack (2012) rating=7.92 "
Dice Fishing: Roll and Catch ‐ Multilingual edition 2018, in great condition. Comes with Tilapia promo card. Sweetner: "Villages (2011) rank=4476 rating=6.56 ". Kickstarter 4th edition in a large box with many expansions. In great condition. Condition: Played a couple of times. Excellent condition. Edition: Plaid Hat Games, 2014, English Includes: "Dead of Winter: Kodiak Colby (2014) rating=7.74 "
Tigris & Euphrates ‐ Mayfair English edition 2008, in very good condition. Condition: Opened and played 1-2 times. Excellent condition Edition: Academy Games 2012, English Includes: "Conflict of Heroes: Eastern Front – Solo Expansion (2015) rating=8.45 " No box for solo expansion, everything in the main box. Condition: Opened and played a couple of times. Excellent condition Edition: IELLO 2013, English Sweetener: "Love Letter Premium (2016) rank=508 rating=7.59 " Premium edition, opened but unplayed, perfect condition. Condition: Played a couple of times. Excellent condition. Edition: GF9, 2016, English Sweetener: "Star Trek: Ascendancy – Borg Assimilation (2017) rating=7.77 " No box for the expansion, everything comes stored in the main box. Condition: Opened and played a couple of times. Excellent condition. Insert is gone but otherwise everything present in the box. Edition: Fantasy Flight Games 2013, English Sweeteners: Lieutenant packs for this expansion. They come without rulebooks or boxes, just the tokens, cards and minis. "Descent: Journeys in the Dark (Second Edition) – Serena Lieutenant Pack (2014) rating=7.63 " "Descent: Journeys in the Dark (Second Edition) – Raythen Lieutenant Pack (2014) rating=7.68 " "Descent: Journeys in the Dark (Second Edition) – Ariad Lieutenant Pack (2014) rating=7.57 " "Descent: Journeys in the Dark (Second Edition) – Queen Ariad Lieutenant Pack (2014) rating=7.66 "
Condition: Opened and played 2-3 times. Excellent condition Edition: Golden Egg Games 2014, English Sweetener: "Historia: Civilization Goals (2014) rating=6.81 "
Condition: Opened and played 2-3 times. Excellent condition, I even kept the crappy insert. Edition: FFG 2015, English Comes with: "Runebound (Third Edition): Unbreakable Bonds (2017) rating=8.36 " "Runebound (Third Edition): Caught in a Web – Scenario Pack (2016) rating=7.82 " No boxes for expansions, everything stored in the main box. Lieutenants bundle for Descent 2nd Edition, FFG, English. Includes all 6 lieutenants for the core game. Note that I have not kept the hard plastic inserts and only have one rule-booklet (they are identical for all the lieutenant packs). Everything else is there in excellent condition (the minis, the agent and overlord cards, the tokens, etc) "Descent: Journeys in the Dark (Second Edition) – Belthir Lieutenant Pack (2013) rating=7.53 " "Descent: Journeys in the Dark (Second Edition) – Eliza Farrow Lieutenant Pack (2013) rating=7.46 " "Descent: Journeys in the Dark (Second Edition) – Merick Farrow Lieutenant Pack (2013) rating=7.43 " "Descent: Journeys in the Dark (Second Edition) – Zachareth Lieutenant Pack (2013) rating=7.61 " "Descent: Journeys in the Dark (Second Edition) – Splig Lieutenant Pack (2013) rating=7.57 "
Musée ‐ First edition (2014), in very good condition. Sweetner: "Columns (2004) rank=9207 rating=6.75 " First edition (2001), in very good condition. Condition: Opened and played a couple of times. Excellent condition. Edition: CMON, 2015 Language: English Sweetener: "The Grizzled: At Your Orders! (2016) rating=7.76 " No box for the expansion, everything stored in the main box to save space. Edition: Portal Games Language: English Condition: Very good, minor corners whitening. Sweetener: "Rattle, Battle, Grab the Loot: Angry Ocean (2016) rating=7.06 " Edition: Portal Games Language: English Condition: Very good, inside main game box. Edition: English 1st Ed Condition: played each scenario and received in previous trade, still in good condition. Smoke free pet friendly home. Very Good Condition. Played less than 5 times. English Edition. Non-smoking home. Very Good Condition. Never played a full game. English. Not the "New" edition, the previous one. Non-smoking home. Very Good Condition. English Edition. Non-smoking home. Very Good Condition. Played less than 5 times. English, 2nd Edition. Non-smoking home. Very Good Condition. Played less than 10 times. English Edition. Not Chinese Printing, 2nd 'Made in Germany' printing. Non-smoking home. Lot of 6 Smaller Games Leaping Lemmings, Plus: "Nottingham (2006) rank=2589 rating=6.25 " "Pocket Battles: Elves vs. Orcs (2010) rank=2623 rating=6.6 " "Dominant Species: The Card Game (2012) rank=3554 rating=6.02 " "Farmageddon (2012) rank=3851 rating=6.17 " "For The Win (2012) rank=7204 rating=5.79 " All in Very Good Condition. English Editions. Non-smoking home. First Edition. Very Good condition. Played a few times. All items bagged and in good shape. English Edition. Excellent condition. Played a few times. All components bagged, complete, in good condition. English First Edition. Very Good condition. Played a few times. All components bagged, complete, in good condition. Some shelf wear visible. Includes all of the Shadows of Mirkwood Adventure Packs: "The Lord of the Rings: The Card Game – The Hunt for Gollum (2011) rating=7.31 " "The Lord of the Rings: The Card Game – Conflict at the Carrock (2011) rating=7.65 " "The Lord of the Rings: The Card Game – A Journey to Rhosgobel (2011) rating=7.42 " "The Lord of the Rings: The Card Game – The Hills of Emyn Muil (2011) rating=7.17 " "The Lord of the Rings: The Card Game – The Dead Marshes (2011) rating=7.41 " "The Lord of the Rings: The Card Game – Return to Mirkwood (2011) rating=7.65 "
Includes all of the Hoth Cycle Expansion Packs: "Star Wars: The Card Game – The Desolation of Hoth (2013) rating=7.5 " "Star Wars: The Card Game – The Search for Skywalker (2013) rating=7.54 " "Star Wars: The Card Game – A Dark Time (2013) rating=7.58 " "Star Wars: The Card Game – Assault on Echo Base (2013) rating=7.6 " "Star Wars: The Card Game – The Battle of Hoth (2013) rating=7.76 " "Star Wars: The Card Game – Escape from Hoth (2013) rating=7.63 " "Star Wars: The Card Game – Edge of Darkness (2013) rating=7.7 "
Version: First edition (2016), Language: English, Publisher: Grey Fox Games Condition: Fair The box has visible damage in a corner, game bits are in excellent condition. Language: French Condition: Good Note: no more white plastic insert inside. White bag is present. Version: English first edition (2011) Language: English Condition:Very Good Sweetner: "Longhorn (2013) rank=1996 rating=6.56 "
Edition: First Edition Language: English Condition: Good, wear on the box, but everything in great condition. Sweetner: "Valdora Extra (2009) rating=7.06 "
Edition: Libellud Edition Language: French, Dutch. With English instructions print out. Condition: Very Good. Edition: First Edition Language: English Condition: Good, wear on the box, but everything in great condition. Sweetner: "Jet Set: Distant Lands – Expansion Set 1 (2011) rating=7.6 "
Edition: Second Edition Language: English Condition: Good, components in good shape. Sweetner: "Sheriff of Nottingham: Merry Men (2017) rating=7.79 "
Edition: First Edition Language: English Condition: Very Good, never played. Edition: English first edition (2014) Language: English Condition: Good, some wear on box. Sweetner: "Five Tribes: The Artisans of Naqala (2015) rating=8.12 "
Edition: First Edition Language: English Condition: Good, some wear on box. Punched, complete player's copy in generally G-VG condition. English, first & only ed. Smoke-free, dogs in house without access to games area. Good condition Not sure if it is the first or second edition. Definitely isn't the third+ edition. Condition: Great played once Publisher: USAopoly Version: English (2011) Sweetener: "Wizard (1984) rank=702 rating=6.89 "
With "Austerlitz 1805: Partie Sud (2004) rank=6914 rating=7.41 " ....so you can join the two and do the entire Austerlitz battle. Both games and mags are new & uncut. French language but with a printout of the English-language rules & stuff. Forever smoke-free, dogs in house without access to games area. First & only English ed. No shrink but as-new, but with a small crush mark on lower-left of box lid. Forever smoke-free, dogs in house without access to games area. English 1st Ed. Out of shrink, otherwise as-new. Forever smoke-free, dogs in house without access to games area. English 1st ed. New (came without shrinkwrap from pub.) Forever smoke-free, dogs in house without access to games area. English 1st ed. Out of shrink but as-new. WITH "Next War: Supplement #1 (2017) rating=8.03 " Forever smoke-free, dogs in house without access to games area. English 1st ed (2010) Out of shrink but otherwise as-new. Forever smoke-free, dogs in house without access to games area. English edition as pictured which BGG suggests is first ed. but I rather think it's the 2nd ed - contains 1984 2nd ed. rules. Rough box with dishing but all contents are in great shape with lots of score pads remaining. Forever smoke-free, dogs in house without access to games area. English 1st ed. Punched, complete (incl. the dice & counter tray), a very nice player's copy in great shape, just typical shelfwear on the box. Forever smoke-free, dogs in house without access to games area. English 1st edition. Opened not played. English Components: Very good. Played a handful of times Box: Like new. English 2005 Components: good-very good. Cards are in good shape, boards and bits in excellent shape. Box: Fair-good. Structurally sound with no tears, but there is a wrinkle about 3 inches long from one corner toward the centre of the cover, and the box shows whitening/shelf wear. 2005 Seaborn Games English Box-Good. I'm tempted to say very good, but there is a small area of slight bubbling of the cheaper material used for the box cover. Components-Very good. The game has only been played twice, and the publisher sent me a new set of cards made from better card stock to replace the original flimsy ones. Zman Games English Box-Good. Shows some wear on the corners and a bit along the edges. Two of the bottom corners of the box show some wrinkling, but all sides/corners are intact. Components-Very good. Only played twice. Version: English 3rd Edition Components: Complete, very good condition Box: Very good condition Played once in a pet and smoke-free home. Two BGG Bit Bowls You will receive the two colours listed below: - Black - Frosted Each comes new and sealed. When lying flat, the bowls measure 6" x 6". Four BGG Bit Bowls You will receive the four colours listed below: - Pink - Purple - Yellow - Grey Each comes new and sealed. When lying flat, the bowls measure 6" x 6". Condition: Components in great condition. base box has a lot of wear around the corners. One edge corner is split. No boxes for the expansions. Everything is in the main box. Sweeteners: "Twilight Imperium (Third Edition): Shattered Empire (2006) rating=8.61 " "Twilight Imperium (Third Edition): Shards of the Throne (2011) rating=8.67 "
Edition: English edition 2017 Box: Like new Contents: Like new, bagged. Includes the replacement cards for the misprints. Excellent Condition English Edition Opened and punched but never played. This is a bundle for the following Carcassonne Expansions. All are for the new edition of Carcassonne (2014). All are English. NO Boxes are included. All components are in excellent condition - de-punched but never played. "Carcassonne: Expansion 3 – The Princess & The Dragon (2005) rating=6.73 " "Carcassonne: Expansion 5 – Abbey & Mayor (2007) rating=7.12 " "Carcassonne: Expansion 6 – Count, King & Robber (2007) rating=6.78 " "Carcassonne: Expansion 8 – Bridges, Castles and Bazaars (2010) rating=6.96 " "Carcassonne: Expansion 9 – Hills & Sheep (2014) rating=7.36 " "Carcassonne: Expansion 10 – Under the Big Top (2017) rating=7.56 "
Condition: Good condition, minor wear on corners and a couple edges which show a little bit of whitening. Components - Very Good+ Condition. Everything is unpunched. Maps have a little wear on the fold lines. Missing 2 original D10, will include replacements. Box - Good+ to VG- Condition. One front corner has crease lines like it was dropped. One corner on the inner box has crease lines like it was bent. Also has some minor shelf wear. Can provide photos if you would like. Very good condition. Cardboard unpunched. Some box wear. Missing original die, will include a replacement 6 sided die. Very good condition. Unpunched. Some shelf wear on the back of the box. Unsure if the 2 D6 dice are original or not, but 2 are included. Very good condition. Unpunched. Missing original 6 sided die, but will include a generic replacement. Language: English Publisher: Avalanche Press Ltd. Version: English edition (2016) Publisher: IronWall Games, Plaid Hat Games Condition: Like New. Opened but Unpunched and Not Played. Smoke/Pet free home. english complete very good condition + "Pagoda (2014) rank=1776 rating=6.69 " english complete Very good condition 2-players games! 2018 English first edition. Excellent condition. Only plated once. Everything sorted into the original box insert. Edition: English not sure of the version, not the kickstarter Condition: Cards in great shape. The two tuck boxes are worn/bent. The expansion packs don't have the packaging, I'll put them in a card box, when shipping Also Includes: "Star Realms: Colony Wars (2015) rank=157 rating=7.91 " "Star Realms: Cosmic Gambit Set (2015) rating=7.3 " "Star Realms: Crisis – Bases & Battleships (2014) rating=7.75 " "Star Realms: Crisis – Events (2014) rating=7.11 " "Star Realms: Crisis – Fleets & Fortresses (2014) rating=7.75 " "Star Realms: Crisis – Heroes (2014) rating=7.02 " "Star Realms: Gambit Set (2014) rating=7.24 "
Played once. Box and contents in very good condition. From a smoke-free, but pet-friendly home. Box and contents in very good condition. Also includes "2 de Mayo: Assault on Palace Grimaldi (2011) rating=6.78 " in similar condition. From a smoke-free, but pet-friendly home. 100 piece set of money discs. These wooden discs are 22mm in diameter and 4mm thick. This set contains: 30 ones, 20 fives, 20 tens, 10 twenty-fives, 10 fifties, and 10 one hundreds. Like new- never used.